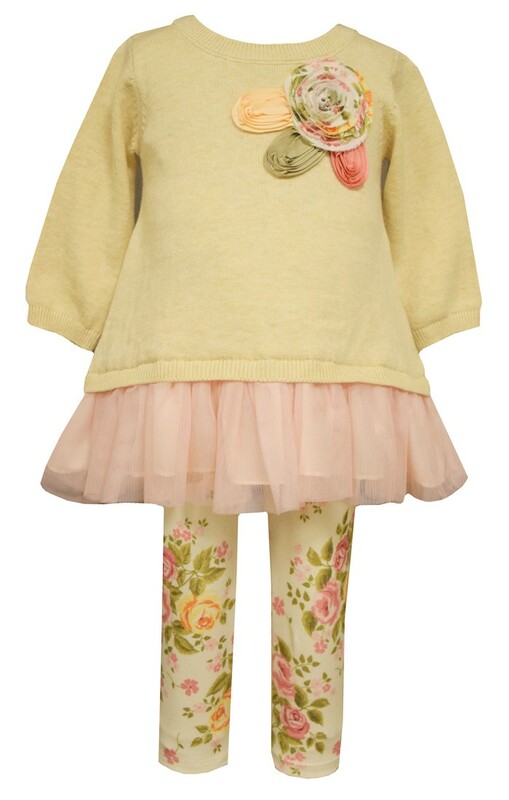 Beautiful Ivory Vintage Floral Sweater Tunic Legging Set by Bonnie Jean for toddler or young girls just arrived! Set features pullover fine gauge sweater knit top in a relaxed sweatshirt style with attached pink chiffon hem. Ivory floral cotton spandex leggings in pretty matching rose print. Machine wash. Imported.